Olympus is the official e-commerce site of Olympus America, Inc. The store sells branded cameras, camera accessories, and audio equipment. Olympus America was founded in 1968 and has its main offices in Center Valley, Pennsylvania. It is a subsidiary of Olympus Corporation, which is based in Tokyo, Japan. Find all the latest offers right here at Dealhack or continue reading to learn more about this icoonic brand. Olympus is known for tech products that are innovative and perfect for different needs. This site is a photographer’s paradise, but Olympus products are not limited to cameras. Each product line has a dedicated page, Cameras and Audio, which are accessible on the homepage. On the dedicated page, you have several options. You could go to the product overview or view the products themselves. Why pick another brand than one respected and loved by thousands? Are you a journalist? Do you cover weddings and other special events? Are you a bird watcher? Do you want to take underwater photos? There’s a camera for everyone. Cameras are categorized by series, such as the OM-D system, the PEN system, and the TOUGH series. The site allows you to choose from a multitude of options such as shutter speed and construction. These cameras not only take great pictures, they also look quite stylish. These cameras also come in a variety of colors, some of which may even surprise you. You can also find camera lenses and accessories as well as binoculars. If you prefer to capture sound instead of images, you can also find high-tech audio equipment. Choose from a variety of digital recorders, professional dictation machines, and transcription devices. Whether you are recording speech or music, these devices are easy to use and guarantee clear results. You can also find a great page for audio accessories. All the current deals and promos are posted on GetOlympus.com’s shop page. You can also see everything the store has on sale on the weekly deals page. Do you want to save up to $1,000 on lenses? Make sure you buy them with a camera body or kit. Or, check out the store’s lens promotion deal. Join the rewards program called Olympus Rewards. Earn points every time you buy a product and use the points on your next order. If you are on a tight budget, you might want to look into certified reconditioned products. They cost considerably less than brand-new ones. Reconditioned products are covered by a 90-day repair warranty and a 30-day money back guarantee. Find Olympus on Facebook, Twitter, YouTube, Instagram, Google+, and Pinterest. Here, you can see photographs taken using cameras and equipment. You can also find new product releases on social media. Do you wish to contact customer service? You will find everything on the customer service page. This includes email addresses and phone numbers for whatever support you need. For more information about the store, the company, and the products, visit the FAQ page. 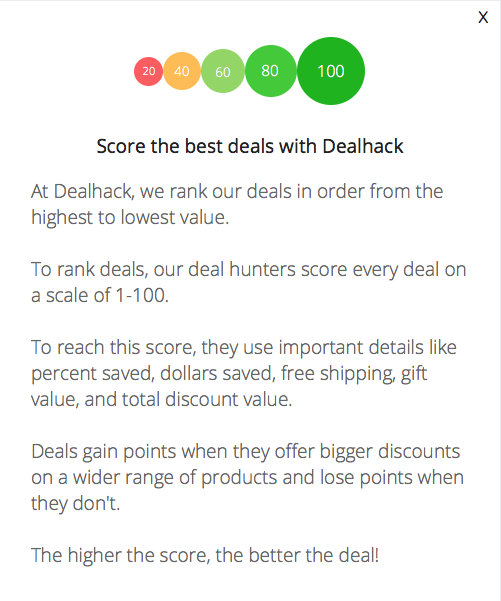 Lastly, be sure to always visit Dealhack first to get the latest coupons and special offers to help you save. Enjoy your savings! Speaking of rewards points, join the Olympus Rewards program. It’s free to join. The points earned can be converted to credit that can be used on GetOlympus.com and there are a lot of ways to earn points. Visit the Olympus Rewards FAQ for more information. Sign up for GetOlympus.com’s newsletter to get tips and savings sent to your inbox. You also receive 100 rewards points just for signing up. Buying a new camera kit? Take advantage of the store’s Lens Promotion deal. Buying a lens and don’t know which is best for your purposes? Visit the site’s Lens Selector page. If you’re on a tight budget, check out the company’s Certified Reconditioned Products. What is Today's Best Olympus Coupon? Currently, the best Olympus coupon is 'Free Shipping Orders $100+'. There is no code required to claim this offer. Products from GetOlympus.com can only be delivered within the United States. Shipping is via Standard Ground, Expedited 2-day or Expedited Next Day shipping. Expedited shipping is not available for Alaska and Hawaii. The store sometimes offers free shipping for orders above a specific amount as part of an ongoing promo. Check the store’s Customer Service page for more information about shipping. GetOlympus.com accepts returns for refunds and exchanges within 30 days from the date of delivery. Returned new items must be unused and in its original packaging. Please note that reconditioned items must be returned in the packaging they came in. To initiate a return, you must download and fill up an Olympus Return Form. For more information about its return policy, you may contact the store at 800-201-7766.